The first major update to Windows 10 as part of the Redstone cycle, codenamed RS1, is on track for release to the public in June. Early versions of this update are already in the hands of Windows Insiders, but there are still more features to come before its mid-year release. RS1 will primarily focus on "the convergence of different Windows 10 devices such as PC, Xbox, and Phone" according to sources at WinBeta. Part of this convergence involves the launch of the Windows Store on Xbox One, allowing users to install Universal apps on their home game console, as well as the expansion of cross-platform gaming that would see more exclusive titles launch on PC alongside Xbox. The collection of Universal Windows Platform (UWP) apps that can be used across different device categories will be boosted with RS1, as apps built using Project Centennial (a tool for porting Win32 apps to UWP) and Project Islandwood (iOS to UWP) will be included in the Store for the first time. There is also expected to be more cross-device functionality. One such feature that's already been rumored is an update to Cortana on PC that would inform you when your phone is running low on battery. Other features would allow users to make phone calls and send texts via their Windows Phone directly on their PC. As for Microsoft Edge, there's a good chance that extension support in the browser will finally arrive in the version released as part of RS1. 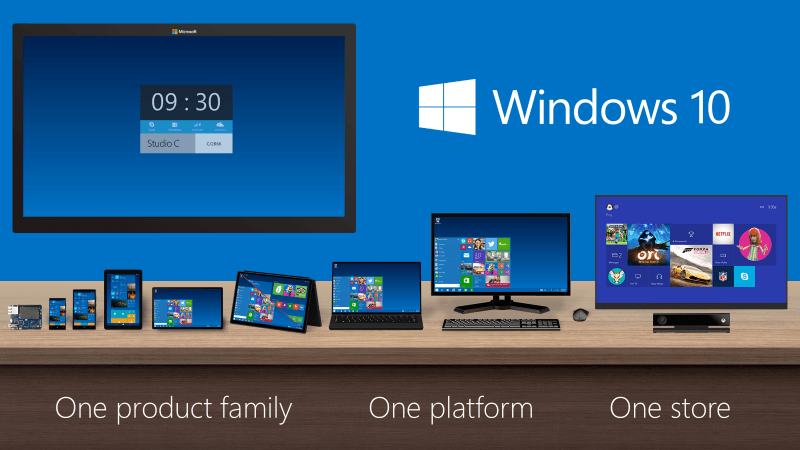 The feature is reportedly headed to Windows Insiders in the coming months. A second Redstone update is also planned, although reports have emerged suggesting it has been delayed from a fourth quarter 2016 release to spring 2017. Some features that were originally supposed to be included with RS1 will now be pushed back to RS2 as well, but we'll have to wait until later to discover which features haven't made the cut.